Has a few scratches and one small ding on the outside which is expected, the interior seats and carpet are in great shape, as are the pontoons and hard top, Per the seller, engine runs good and has a new prop recently installed Stock #160305 29 Tropical Series powered by a 90hp, EFI, 4-stroke Yamaha outboard with 755 hours! If you are in the market for a pontoon boat, look no further than this 2013 Aloha 290 Sundeck, just reduced to $28,000 (offers encouraged). 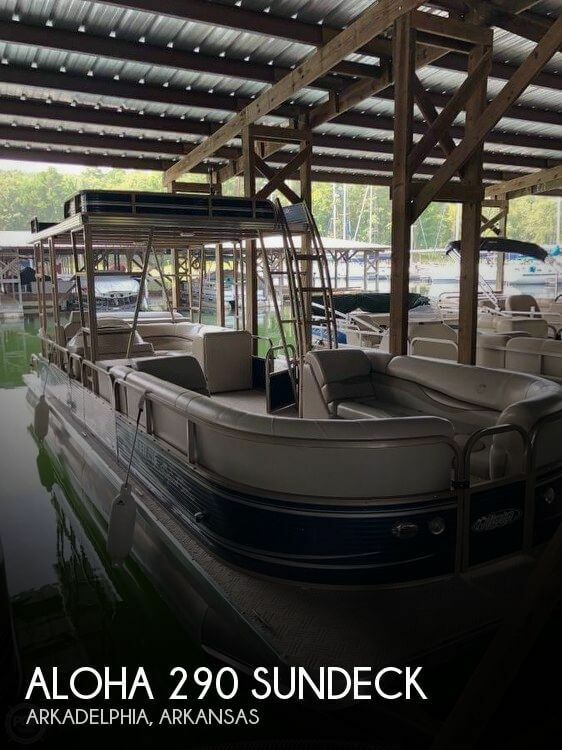 This boat is located in Arkadelphia, Arkansas and is in good condition. She is also equipped with a Yamaha engine that has 755 hours. Reason for selling is doesn't use.